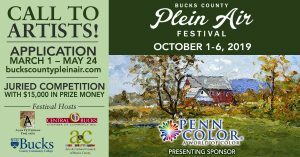 Join us for a week of plein air painting in verdant and historic Bucks County! Paint the quaint towns, rolling landscapes, lakes and rivers, covered bridges, stone farmhouses, and historic estates that have inspired artists for more than a century. 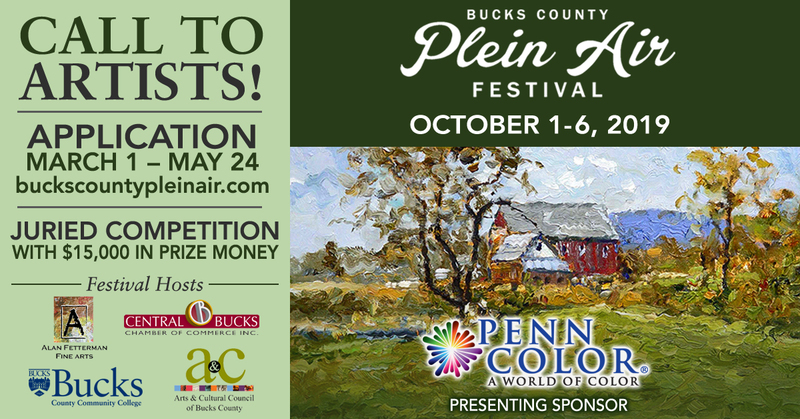 Jointly hosted by Bucks County Community College, the Central Bucks Chamber of Commerce and Alan Fetterman Fine Arts, proceeds support art scholarships and arts programming in Bucks County.